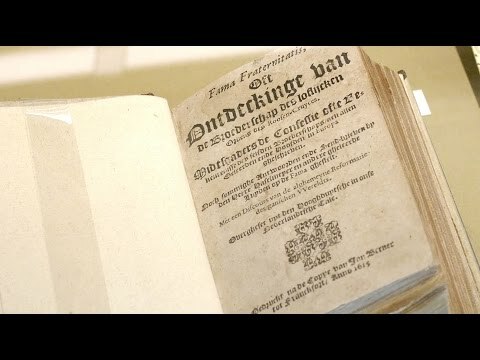 The travelling exhibition ‘Divine Wisdom – Divine Nature’, celebrating 400 years of Rosicrucian Manifestoes which first opened in Germany in September last year and was shown in Switzerland in the spring of this year, will open in the Bibliotheca Philosophica Hermetica on 11 September 2015. Each exhibition is devoted to the message of the Rosicrucian Manifestoes in the visual language of the 17th century, showing the stunning engravings in the works of Heinrich Khunrath, Daniel Mögling, Robert Fludd, Michael Maier and Stephan Michelspacher, but will also have a special focus, depending on the setting of each successive exhibition. You can buy the publication Goddelijke Wijsheid – Goddelijke Natuur in our webshop.